The Newport Harbor High School Field Hockey program highly values our rich tradition. The field hockey program started at Newport Harbor in 1973 under the head coach, Ellen Caricoff (Our Booster Treasurer, Nancy Rohan, was a member of this team!). They were only able to play one game against Estancia due to a rain. From 1973 – 1974 there was only a Varsity team. In 1975 the JV team was created. The uniforms for the first two years consisted of shorts and turtlenecks, but the blue plaid pleated kilts and white polo shirts were brought to the program in 1976. The uniforms have been kept the same to this day. The Frosh/Soph team was created in 1999. Newport Harbor also maintains other team traditions which include secret sisters, team dinners, Varsity chairs, Varsity sweaters, Varsity spandex, and much more. The Varsity team has also kept the tradition of performing a dance at the Homecoming rally since the late 1990s. Many Newport Harbor alumni continue their field hockey careers into college, as well as return to the program as coaching staff. Hockey first appeared on the Olympic program at the 1908 London Games and again in 1920 at Antwerp. The sport was again featured on the program at Amsterdam in 1928 and has been an Olympic sport ever since. Women’s hockey became a fixture on the Olympic program in Moscow in 1980. Originally considered far too dangerous for female participation, field hockey quickly became popular with women whose previous introduction to sport included the “socially acceptable” outdoor activities of croquette and lawn tennis. With more and more women becoming active in the sport, the liberating game of field hockey earned the dubious title as the only team sport considered proper for women. Appalled at the parlor games passing for exercise among young American women, Applebee borrowed some sticks and a ball and staged the first hockey exhibition in the United States behind the Harvard gymnasium. The game received an enthusiastic response, and Applebee quickly spread the sport to some of the region’s most prestigious women’s schools. With the increasing popularity of the sport, and through the pioneering efforts of the Association’s early touring teams, the U.S. continued its rise to international prominence. In 1975, the U.S. appeared in the first I.F.W.H.A. World Championship of women’s hockey in Edinburgh, Scotland (10th), and five years later earned an invitation to the first women’s Olympic Games tournament in Moscow. The U.S. boycott of the 1980 Games prevented the team from competing in Moscow. Under legendary coach Vonnie Gros, the USA captured the bronze medal four years later at the 1984 Los Angeles Olympic Games. The team would continue its Olympic tradition with appearances in Seoul in 1988 and Atlanta in 1996. After the FIH conducted the first women’s World Cup in 1975, the U.S. team began an impressive string of successive trips to the prestigious tournament in 1983. The U.S. would qualify for each of the ensuing World Cup tournaments including a bronze medal finish in Dublin in 1994. USA Field Hockey currently seeks to foster and develop the amateur sport of field hockey by providing participation opportunities for players, coaches, officials, and administrators and preparing teams to represent the United States in international competitions. 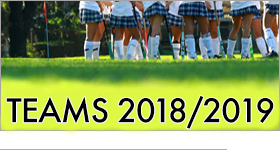 USA Field Hockey provides players, coaches, officials and administrators educational and participation opportunities while supplying support and resources essential to the development and enjoyment of the game.